Dancehall Producer / Engineer Kevin Green more popularly known as PAYDAY recently released his high energy Honey Comb Riddim and already the compilation is attracting global attention. 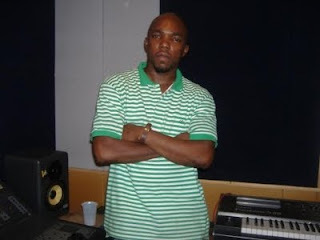 In a recent interview PayDay said the name of the riddim was attributed to the great sounding melody and arrangement of the production. "Why I named the project honey comb was because from we young we know Honey is a sweet ting and the whole project was nice and smooth with musical melodies and the riddim itself was really nice so it was only fitting". The Honey Comb Video Medley was also shoot recently by famed video director Julia Braham at the office of Solid Agency and is expect out during the last week of September. Honey Comb features a number of artist including young artists like Flawless Nymran, Terro 3000, Iyara, Boom Steppa, Assailant and a few others including Mavado, Bugle, Bounty, Demarco, Bling Dawg and Wayne Marshall. What's next for payday one might asked, well according to him the next couple of months will be spent in studios recording new projects . "Well I produced all 4 singles for Bounty in the current musical clash he has with Kartel, Chatta Box, Wata Tune, Mi Enemies and Ungrateful Hellboy which is featured on the Full Black Riddim. I have some other new single coming out too for Raine Seville, Badd Cash, Flawless, Lutan Fyah, Bounty, Iyara and Mavado".